The genesis of these muffins was quite some odd process. It actually started with the plan to make Chocolate Covered Katie's healthy hummingbird cupcakes for our Sunday brunch. I've wanted to make Hummingbird Cake for some time now and decided that this was a good moment. But then I realized that one crucial ingredient was missing - pineapple! Why not use an orange instead of the pineapple? It wouldn't be Hummingbird Cake. Also I realized that actually I wanted something chocolate. 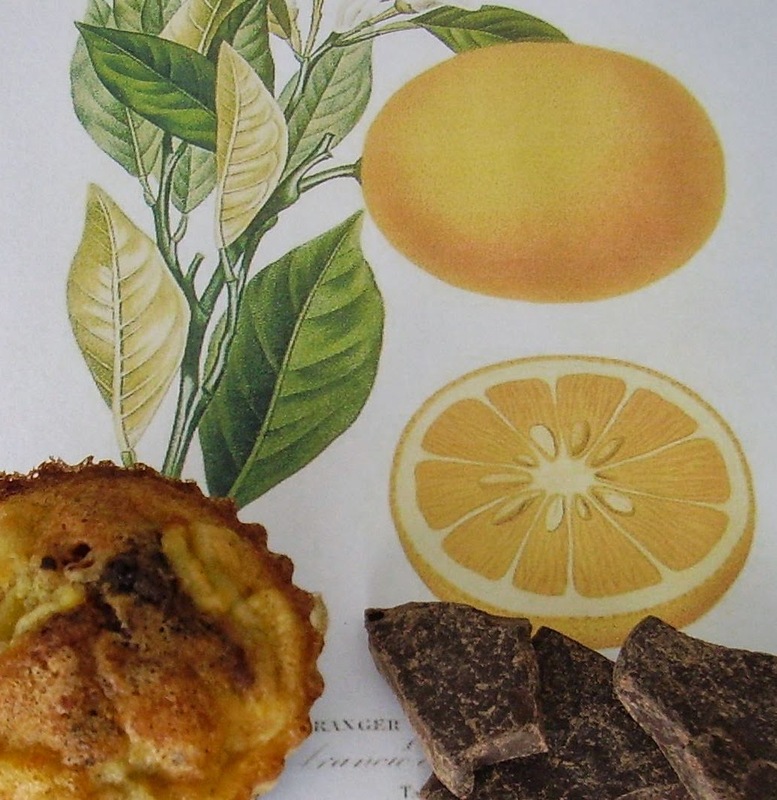 So the logical way to solve this was to use the oranges I had and marry them with the chocolate I was craving. You can never go wrong with orange and chocolate, right? 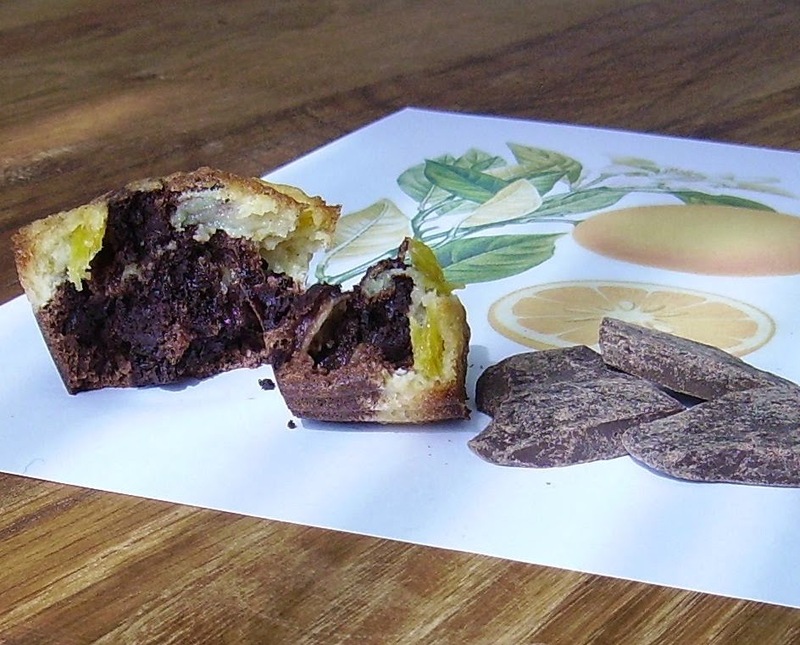 I ended up with these beautiful marbled muffins which are, according to my taste testers, extremely yummy. The best part: They're healthy, too! No sugar except for the chocolate, if you use erythritol or xylitol, lots of healthy flavonoids from the dark chocolate and cocoa powder, whole grain from the brown rice flour, and low fat. I don't usually believe in low fat, but in taking in good fat such as mono- or polyunsaturated fatty acids from olive oil, flax seed oil, non GMO canola oil, deep sea fish like salmon and tuna. But mostly we get in enough fat anyway, and a sweet treat does not necessarily have to be rich in fat, right? My best guinea pig for sweets is my sister-in-law. She is incredibly sweet toothed but wouldn't eat any rubbish no matter what as long as it's sweet enough. Things have to be sweet and flavourful, and luckily she abstains from counterproductive politeness when it comes to telling the truth about a muffin or other sweets that I might serve her. Her comment on these muffins was: "Boy, are they yummy!" Of course you can also use white or brown sugar in place of the erythritol or xylitol. Combine 70 g brown rice flour, 30g cornstarch, xanthan or guar gum and baking powder, then divide the mixture so you have 2 bowls with 50 g flour each. Grate orange zest and filet the orange, chop the filets into small pieces and let sit in a small colander or sieve to drain. In a double boiler, over low heat slowly melt the white chocolate in 1/4 cup of milk, set aside to cool. Crack the egg into a small bowl, whisk until smooth and then divide between two bowls. Or: Place 1/2 teaspoon of powdered egg replacer with 1 tbsp. water each in two bowls. To one half of the flour mixture, add 3 heaped tbsp. cocoa powder and the chopped dark chocolate. To one half of the egg or egg replacer, add 1/4 cup erythritol or xylitol, 1 tbsp. yoghurt or applesauce or oil, 1 tsp. vanilla and 1/4 cup milk and whisk until frothy, then add the cocoa mixture and combine well until no flour pockets remain. 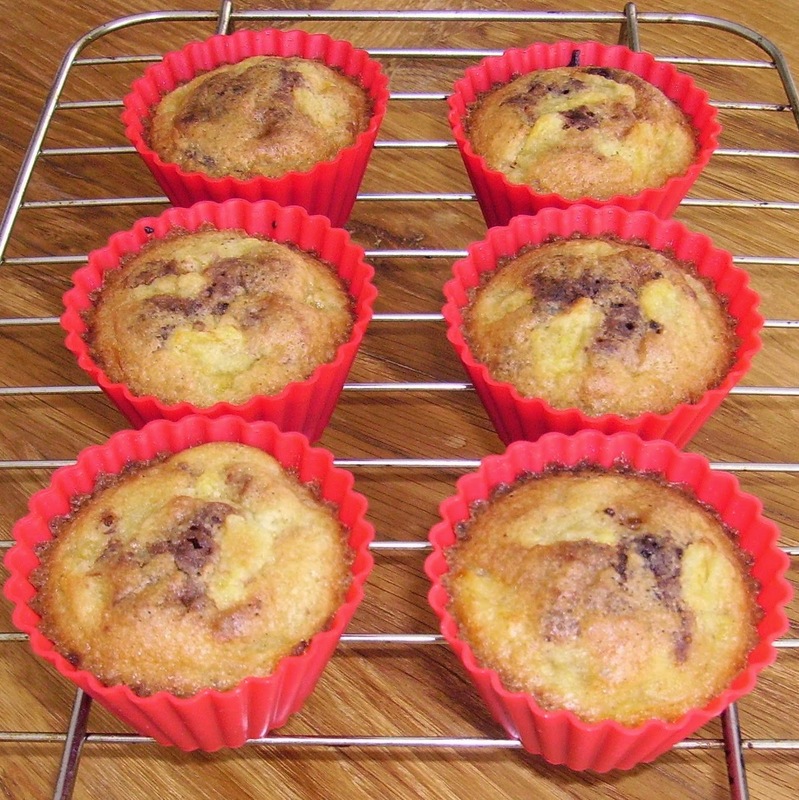 Spoon the cocoa mixture into prepared muffin tins. Add one tbsp. cornstarch to the remaining flour mixture, combine well. Combine remaining half egg with grated orange zest, 1/4 cup erythritol or xylitol and 1 tsp. vanilla, then slowly pour cooled milk/white chocolate mixture in, whisking constantly until smooth. 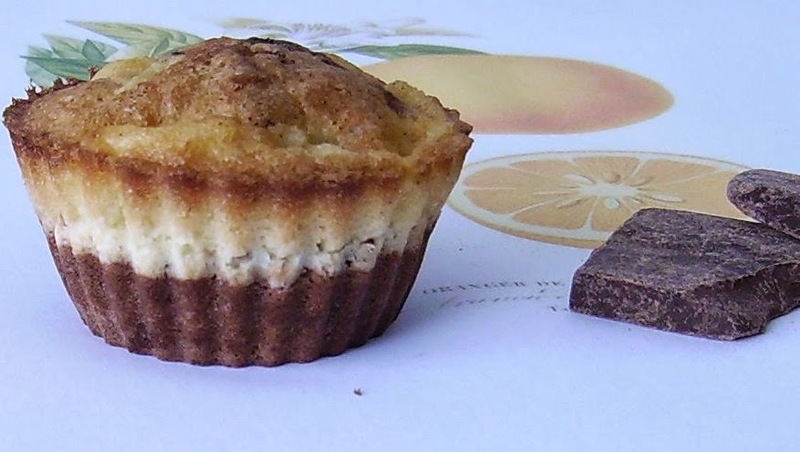 Add flour mixture and dripped orange pieces, combine well and spoon on top of the cocoa part in the muffin tins. 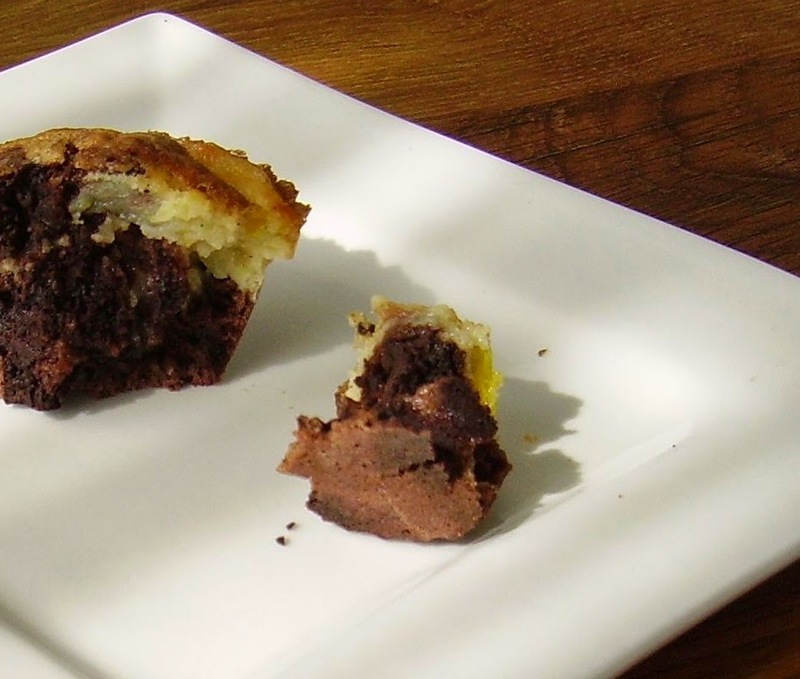 With a wooden skewer, swirl through each muffin tin once . 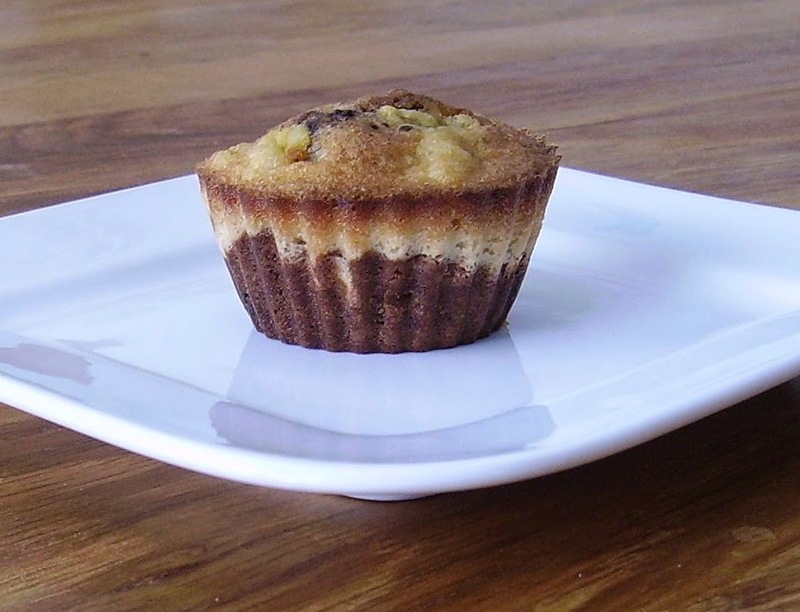 Place muffin tins in the preheated oven and bake for 30-32 minutes. There should be no liquid bubbling at the edges anymore, but the tops should still be very soft to the touch. Don't overbake, or the muffins will get a bit tough. Cool in the muffin tins until the muffins feel solid to the touch and are only just warm, then remove from tins and let cool completely on a wire rack. I let mine cool completely in the tins and it was totally okay. What do you prefer? Dark chocolate and orange or white chocolate and orange?